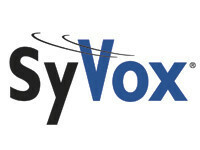 SyVox Speech Logistics software enables picking personnel to perform their jobs faster and with greater accuracy. Workers are able to use their voice instead of having to interrupt what they are doing to enter a key command, scan a barcode or mark-up a paper picking sheet. Eyes-free operation enables a worker to locate a product and keep their eyes focused on it to virtually eliminate wrong product picks. When compared to paper-picking, incorrect picks can be reduced significantly. Eyes-free data collection enables picking personnel to keep their heads up instead of looking down to read a paper picking sheet or mobile computer display. Users can be more focused on what they are doing and where they are going to improve safety in the picking environment. Productivity improvements gained with SyVox software lower picking costs while increased accuracy results in better customer service. These improvements can pay for the SyVox system in short order. The system is also very affordable when compared to other picking options. It costs almost 50% less than speech recognition systems using proprietary speech data terminals and is considerably less expensive than pick to light systems. Speech technology is in use by thousands of warehouse workers at some of the world’s leading companies, and speech recognition can be installed into any facility, even if you’re using a batch processing WMS or legacy system. 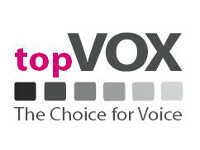 The SyVox solution is speech engine independent and incorporates the most popular speech recognition engines. The system is tolerant to the variable noise levels present in an industrial environment. 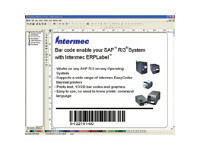 SyVox software operates on the Intermec 750 Color mobile computer, a standard PocketPC device that provides the user with a variety of standard features in addition to speech recognition. 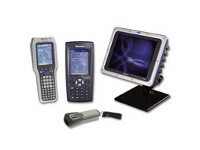 SyVox software provides configuration options that support multiple picking strategies. SyVox speech logistics software allows workers to hear instructions through a headset connected to a belt mounted Intermec 700 Color mobile computer. Workers are able to communicate verbally with an ERP system through a wireless network. Speaker independent technology eliminates the need to train the system to match a particular user’s voice. With this technology, users can simply put on a headset and speak. The SyVox speech recognition software also provides support for multiple languages.